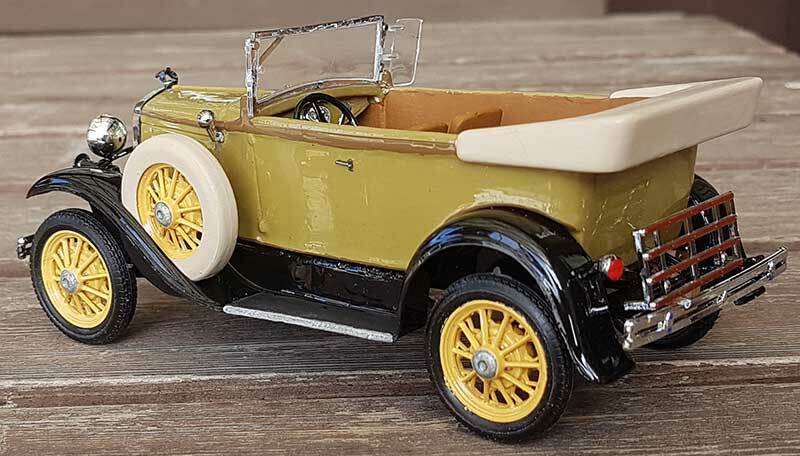 Yesterday I finished this year's first Ford Model A project. This time it was a 180A De Luxe Phaeton from 1930. 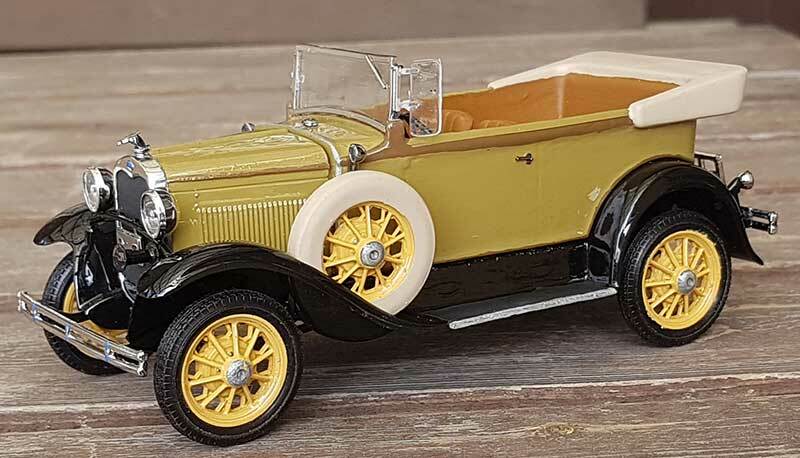 I started from a plastic kit from Monogram: Ford 1930. Then I supplemented with a 3D printed body. Another Beautiful replica . Tacoma Cream with Straw wheels . How much difterent is this body v/s the kit body ? Kudos .. Thanx ..
Ok , I m thinking about the Phaeton 4 dr original 1961 Monogram kit .
. I bought one of those when these kits first were released . Thanx ..